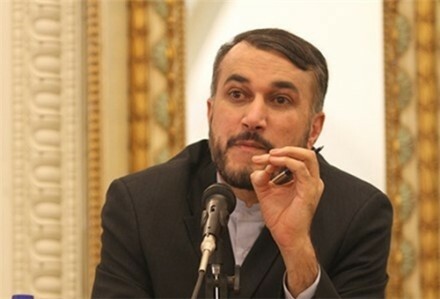 After talks in Russia on Monday, Iran’s Deputy Foreign Minister Hossein Amir Abdollahian (pictured) issued a dramatic warning to the US and other countries about support for Syria’s insurgents. The Deputy Foreign Minister said “supporters and financers of the terrorists and Takfiris in Syria” should not forget Al Qa’eda grew up in Afghanistan, but 9/11 incident happened thousands of miles away in New York. “Any attempt to reinforce extremism and terrorism will harm regional security and stability,” Abdollahian said. No details were released of the talks between Abdollahian and his Russian counterpart. Tehran and Moscow, the two main allies of the Syrian regime, have provided essential economic, political, and military support for President Assad since the uprising began in March 2011. Student and human rights activist Maryam Shafipour has been sentenced to seven years in prison. Shafipour, arrested in July and detained in Evin Prison in Tehran, was found guilty of “spreading propaganda” and “gathering and colluding” against the regime. Shafipour was on the campaign staff of Mehdi Karroubi in the disputed 2009 Presidential election. She was detained in 2010 and given a one-year suspended prison term. She was expelled from her course in agricultural engineering at the Imam Khomeini International University and barred from further education. Relatives and activists claim that Shafipour, denied a lawyer for two months after the July 2013 arrest, has been denied proper medical treatement for high blood pressure and dental problems. Two days after President Rouhani told the Islamic Revolutionary Guards Corps to tone down anti-US rhetoric amid the nuclear discussions, an IRGC official has again declared that enemies would never risk an attack on Tehran. The head of the IRGC’s Public Relations Department, General Ramezan Sharif, said, “The Islamic Republic of Iran has reached an extent of military progress in years after the victory of the revolution that its enemies don’t dare to make an aggression against Iran.” Sharif said in the Northern Qazvin province on Sunday. Sharif said those enemies are trying to hurt Iran through non-military methods. The IRGC statement, reported in its outlet Fars News, did not previous declarations that Iran would respond to the US with “an attack with no boundaries”.